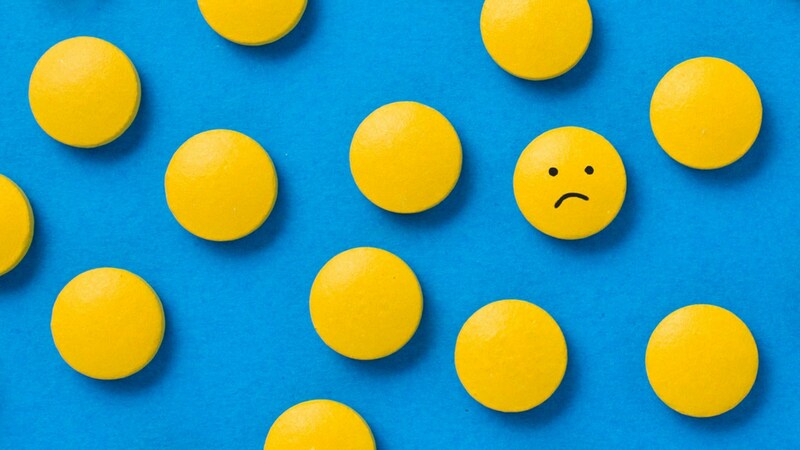 Many of the 10 percent of Americans who take antidepressants have experienced the “Prozac poop out”— when a drug that was once effective at treating symptoms of depression no longer works. There is even a specific term — antidepressant tachyphylaxis — attached to the kind of relapse experienced by persons on antidepressants that had previously been effective. Some experts believe that the serotonin reuptake inhibitors (SSRIs), such as Prozac or Zoloft, are more likely to poop out than other kinds of antidepressants, such as tricyclic medications or serotonin norepinephrine reuptake inhibitors (SNRIs). This can be frustrating and confusing for a lot of people, since, according to Jonathan Alpert, M.D., Ph.D., Chief of Clinical Psychiatry at Massachusetts General Hospital in Boston, about 30 percent of antidepressant users will experience depression relapse over a one-year period. So what do you do when your antidepressant poops out? Here are a few things to consider. This seems like a no-brainer, but according to Kay Redfield Jamison, Ph.D. a professor at Johns Hopkins School of Medicine, the biggest challenge professionals face in treating bipolar disorder (and I would add other kinds of mood disorders) is medical adherence. Approximately 40 to 45 percent of bipolar patients do not take their medications as prescribed. You may think you are taking your meds exactly as prescribed, but it is critical to take your medication at a consistent time each day. I have noticed even moving them around by a few hours affects my mood. Forgetting just one night will throw me off for a few days, so I keep my meds in one of those geriatric pill containers and set an alarm on my phone. According to the Epidemiologic Catchment Area (ECA) Study, among those with a mental disorder, the odds ratio of having some addictive disorder was 2.7, with a lifetime prevalence of about 29 percent. Among those with an alcohol disorder, 37 percent had a comorbid mental disorder. An overview of Comorbidity of Alcoholism and Psychiatric Disorders issued by the National Institute on Alcohol Abuse and Alcoholism, states, “People with alcohol use disorders often have co–occurring psychiatric disorders, but they frequently do not receive specialized substance abuse treatment that addresses both conditions.” Even drinking a modest amount of booze can make depression worse, can increase some of the side effects, and can interfere with the effectiveness of your antidepressant. Remember, alcohol is a depressant. Another medical condition can make it more difficult to respond to medications or could be the reason behind a worsening mood. In another post, I mention some conditions that are associated with depression: vitamin D deficiency, hypothyroidism, low blood sugar, dehydration, food intolerances, and caffeine withdrawal. Other ones to consider: diabetes, dementia, hypertension, low testosterone, sleep apnea, asthma, arthritis, Parkinson’s disease, heart disease, stroke, and multiple sclerosis. I think it’s a good idea to get a thorough check up (with plenty of blood work) done by a primary care physician or integrative doctor to rule out an underlying condition. Make sure to test for any MTHFR mutations, how you process folate, which can definitely affect antidepressant results. Also, persons with bipolar disorder are often misdiagnosed as clinically depressed because they don’t recognize episodes of hypomania and therefore don’t discuss them with their doctor. They may need a mood stabilizer in addition to an antidepressant to reach full remission. Since depression and anxiety worsen under stress, I would definitely consider ways that you can reduce your stress. Two places to start are mindful meditation and exercise. Research has shown that Mindfulness-Based Cognitive Therapy (MBCT) can halve the risk of future clinical depression in people who have already been depressed several times—its effects seem comparable to antidepressant medications. Mindfulness-based stress reduction (MBSR) exercises, in particular, help people cope better with stress. Exercise relieves stress in several ways. Cardiovascular workouts stimulate brain chemicals that foster growth of nerve cells and increase the activity of serotonin and/or norepinephrine. By raising your heart rate, exercise also releases endorphins and a hormone known as ANP, which reduces pain, induces euphoria, and helps control the brain’s response to stress and anxiety. You may need to make some alterations to your diet to ensure that the stuff entering your mouth is working for you, not against you. Some research indicates brain foods such as those containing omega-3 fatty acids, vitamin B12, and important amino acids like tryptophan cause changes to some fats in brain membranes, helping certain chemicals to pass through, which can aid the absorption of your antidepressant. Other foods can contribute to your depression: sweets, drinks with artificial sweeteners, processed food (bread, cereal, pasta, and snack food), fatty foods cooked with hydrogenated oils, foods high in sodium, alcohol, and caffeinated drinks. Watch out for any food intolerances that cause inflammation and trigger symptoms of depression. You may need to increase your medication (if you have room to go up). If you are like me, you despise increasing a medication that you hate being on in the first place. I like to reassure myself by saying that this increase doesn’t mean forever, nor does it mean I’m going to double my dosage every year until I look, smell, and taste like a huge tablet of Zoloft. Our body chemistries are always changing, which is mostly a good thing. Your doctor might want to switch medications, either to another drug in the same class or to another class. According to the Sequenced Treatment Alternatives to Relieve Depression (STAR*D) Study, the largest and longest study ever conducted to evaluate depression funded by the National Institute of Mental Health (NIMH), you may need to try several medications to find one that works for you. If the first choice of medication does not provide adequate symptom relief, switching to a new drug is effective about 25 percent of the time. I know folks that have benefited from genetic testing, a simple saliva or cheek swab test that genetic test manufacturers claim can identify which medications are most effective for them based on their unique genome. Some psychiatrists swear by these DNA tests to treat their more difficult cases, trying to simplify the trial-and-error process. I would proceed with caution, though, because, while I think some of the information can be helpful, some of it can be misleading. My experience with genetic testing is mixed. Your doctor may want to add another medication to your regimen as an augmentation. This could be a different kind of antidepressant — such as a tricyclic — or a non-antidepressant augmentation, such as lithium (very successful at increasing antidepressant properties of other drugs), low-dose atypical neuroleptics (i.e. Risperdal or Seroquel), or a thyroid hormone, since many people who suffer from depression also have an inactive thyroid. According to STAR*D, adding a new drug while continuing to take the first medication is effective in about one-third of people. Research suggests that adding the dietary supplement SAM-e to antidepressant treatment may also improve results in people who haven’t responded to the medication. If you do have an MTHFR mutation, you may want to supplement with Deplin, or some kind of L-methylfolate. In 2013, researchers at the University of Ottowa in Canada combed through hundreds of studies, including both randomized controlled trials and studies examining the impact of evidence-based psychological treatments, and published a report with the Canadian Psychology Association. They found that psychotherapy is as effective as medication in treating some kinds of depression and is more effective than medication in preventing relapse in some cases. Also, for some patients, the combination of psychotherapy and medication was more beneficial than either treatment on its own. Their findings suggest that for the treatment of bipolar disorder, combining psychotherapy with medication leads to better functioning and fewer relapses. Adding psychotherapy to medication also results in better treatment adherence, reduced burden of disease, and lower suicide rates. Thank you so much for sharing this. It is so important people understand the different affects that once that goes out how your body functions and what is important you do and things you cut back on, so important to keep up with your mental health! Thanks for the input, Therese. I’ve been on a 2-1/2 year “adventure in changing meds” and am very frustrated. I started using meds recommended by the GeneSight test–couldn’t tell how effective they were because of all of the side-effects (particularly somnolence). Worked my way through 2-3 more (as suggested by my pdoc) until I got back to the one I was taking before starting this–brand name Lexapro along with Bupropion. Now I think I’m worse off than before–lotta sleepiness (not somnolence), weird sleep hours and awful depression. Will print this article to PDF for reference. The blog was very informative, the content that is written in it is very helpful for those who are going through such situation. taking add on tablets is seriously harmful for a human body, the chemicals that are taken in such tablets are addictive in nature, untill the most critical situation it should be avoided. You mention that your experience with genetic testing is mixed. Can you elaborate on that? I also had that done and haven’t really been successful finding a med that works for me.